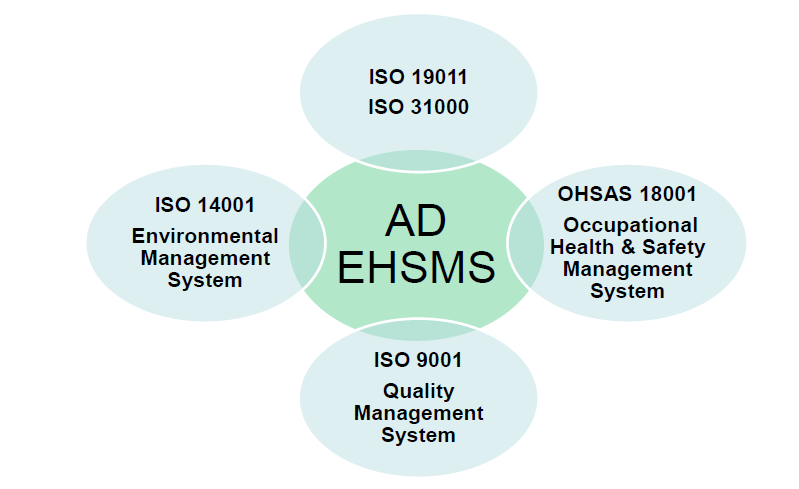 AD EHSMS is a management tool that integrates all Environment, Health and Safety (EHS) management components of a business into one coherent system. The integration of these components allows the business to achieve its objectives efficiently by managing its impacts to the environment and minimizing occupational health and safety risks. 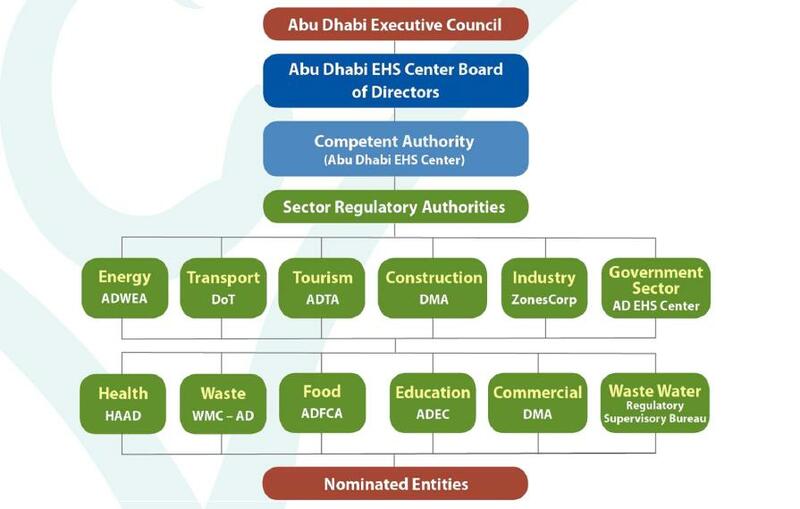 The AD EHSMS RF incorporates the key requirements from the following International Standards: Environmental Management System (ISO 14001); Occupational Health and Safety System (OHSAS 18001); Environmental Management System Auditing (ISO 19011) and Risk Management Principles (ISO 31000), into one integrated system that also recognizes the commitments and aspirations of Abu Dhabi Government and the unique features of Abu Dhabi’s regulatory EHSMS compared to conventional voluntary standards. On June 2009, Decree No. (42) of 2009 concerning the Environment, Health and Safety Management System in Abu Dhabi Emirate was issued by crown prince, Chairman of the Executive council. This decree aims to implement the Environment, Health and Safety Management System in the Emirate through provision of the unified tool at Emirate level to facilitate implementation of regulation to EHS and for protection of human health and safety and the environment and conservation of natural resources. The AD EHSMS RF is applicable to all places of employment within the Emirate of Abu Dhabi. Employers, Contractors and Self-employed persons shall adhere to applicable requirements. Phased implementation of the system will take place in the entities within concerned EHSMS sectors. Develop and implement and EHSMS in compliance with AD EHSMS RF and Sector Regulatory Authority (SRA) requirements. Actively audit system internally to ensure compliance. Undergo annual third party compliance audit. Report EHS incidents to SRAs/ Relevant authorities. Reporting EHS performance to SRAs. We Advanced Career Excellence Training and Consulting is an approved consultancy office for providing EHS Consultancy services and AD EHSMS Auditing, We shall extend our service in providing EHSMS consultancy services for the development of EHSMS documents as per the AD EHSMS requirements and any additional Sector Regulatory Authority requirements. 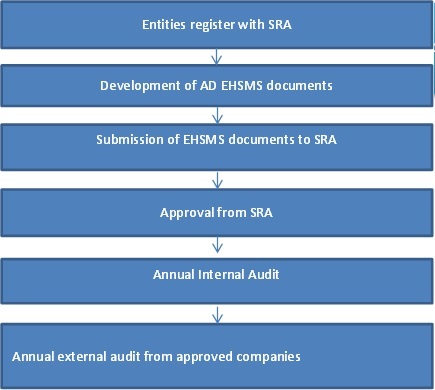 We provide services for entities to verify and monitor the implementation and Compliance of AD EHSMS by an annual third party compliance audits as part of the EHSMS requirement. We have experienced auditors for conducting the audits in different sectors. As related with AD EHSMS we also provide awareness trainings on EHSMS for the staff to get a brief understanding about what is EHSMS and why it is important for an entity to implement it on their premises. We also provide EHSMS implementation trainings for the key persons in the organization who will be part of the team of implementing the system within the company. Be a part with ACE – One stop solution to all your training and consultancy needs. Gain maximum benefits as an individual and for your organization.